Still Waiting On Your Herbicide Settlement? Need pre settlement funding on a pesticide lawsuit? In our never-ending quest to control the plant life around us, we have inadvertently exposed ourselves and our children to toxic pesticides that can cause serious health damage to a large portion of our population. Chemical spills: a chemical spill can happen at the manufacturer, at a retail location, in transport, or outside before it is the chemical is sprayed. Spills can be caused by an innocent accident or by negligence. Extended exposure: individuals who live near farmland or nurseries, or those who work in the chemical plant or on farms are often exposed to pesticides frequently over a long period of time. Sometimes, people who live in factory towns may also be exposed to dioxins and PCBs. Pesticides aren’t just used for plant control. They may be sprayed widely over wet areas to help kill mosquitoes, they may be used to kill other insects such as wasps or ants and they may be sprayed inside homes as well. In fact, the National Resources Defense Council reported that more than 70 million households in the U.S. use pesticides inside and outside. All this usage can leak into the ground and seep into the water table, increasing exposure. Herbicides and pesticides are only part of the problem. You may have also been adversely affected by dioxins, which can enter the air as a result of production activities or PCBs which are used in many industrial applications and were produced in very large quantities in the 1980s. If you or a loved one has been damaged by the negligent use or handling of pesticides, PCBs, dioxins, or from exposure to Agent Orange, you may be entitled to damages. In a successful lawsuit against the negligent party, you might win medical expenses, lost wages, and even pain and suffering. 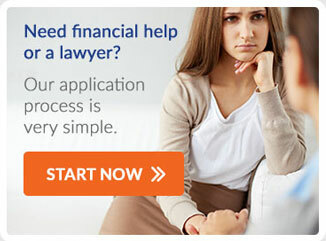 Pravati Capital can help you find the right attorney to win your case. We have developed a large network of legal representatives who have experience fighting for the rights of those injured by pesticides. Contact us today and we can review your case for possible legal financing that can help you to start recovering from the damages even before you’ve won a settlement. If you experienced a Herbicide and Pesticide Injury, contact Pravati Legal Funding today.